The modern working environment is constantly changing and more people than ever are working from home. To some people, this might seem like the perfect working life as you cut out all of that time you spend commuting and can stay on top of things at home. In many ways, you could have the perfect balance between your work and personal life with more flexible working terms. You can get rid of distractions like noisy co-workers and broken networks that can slow down your productivity. But working from home isn’t always the perfect solution that it might seem and comes with plenty of distractions of its own. There are a few things you should consider before working from home. One of the biggest problems with working from home is that household problems can often get in the way of your work. You wouldn’t usually notice these problems until you got home from work but now they become amplified and more urgent. This even includes things like household chores if you know things need to be cleaned. Although working from home can allow you the flexibility to sort these things out, it can be extremely tempting to sort these problems out when they occur. This problem can be avoided if you're strict with yourself and simply leave everything to outside of work hours. A proper housework schedule could be just what you need. Depending on the kind of work that you do, it can be hard to find motivation and inspiration working from home. When you actually make the journey into work you may find that you are more motivated to get your work done since you're in a working environment. The reasons for this are varied, depending on the type of worker you are. For some people the commute can be the time they need to wake up. For others, having colleagues to bounce ideas off fuels their inspiration. Maybe having stricter timeframes motivates some to consciously work harder and get everything done before the end of the day. This isn't always the case if you’re working from home; you don’t have the commute to contend with and everything seems much more flexible. On top of this, it can be hard to find inspiration if you’re sat at home in your PJs. Many people can find it hard to adapt and get their work done from a home environment. Solutions include: make your home more like an office by buying office furniture for your home; phone clients up for engaging conversions rather than just emailing them; and find other places to work to spark your creativity such as the library, coffee shop or park. While one reason to leave the office environment is to get away from other people and the distractions of noisy co-workers, this could also be a problem if you work from home. If your housemates or partner work different or unusual hours then they might be at home not working at the same time that you should be working. This can be a huge distraction as they can come to ask questions or favours and often forget that you’re at work. These aren’t the only people that could disturb you either. If your family, or even neighbours, know that you are at home then they are more likely to disturb you when it suits them and not respect your working hours. Ensuring that you have 'protected time' where you can work uninterrupted is essential if you live with other people. It is also essential to avoid communal areas, such as the kitchen, when working. Without a fixed schedule or routine to your workload, it can often lead to a less productive working atmosphere. If you know that there is no fixed time or schedule that you have to keep to, it can mean that you end up working later or endlessly put tasks off for another day. 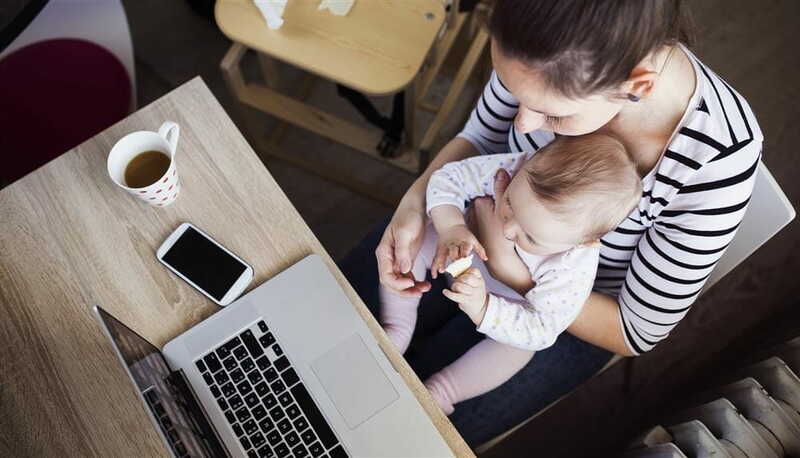 Although a flexible working schedule is one of the most appealing aspects of working from home, it can be hard to manage your time effectively if you haven’t had to do it before. There is also nobody to keep you in check and make sure that you are working enough hours or that you are on-time for work. With a lot of distractions, it can seem like an easy choice to say ‘I’ll finish it later’. If you're not the sort of person who is good at time-management, ask someone else to draw up a schedule for you. It's also a good idea to keep a calendar and set notifications for deadlines, if you've only got yourself to rely on. These are just a few of the things that you should consider before making the move to work from home. This doesn’t even include personal distractions or temptation to avoid work and finish early. But you can avoid these things causing you a problem and working from home can be a successful relationship for many people. If you are someone who is focused on getting the job done and don’t get easily distracted, then it could be the perfect solution for you. If you’re still thinking about working from home, then check out our home office section. We have plenty of different furniture ranges to make sure that you have a comfortable working environment.